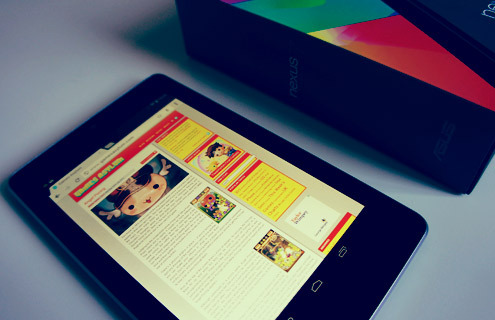 Nice little piece, I have my eye on a Nexus 7 myself. Had my eye on this ever since it was announced. 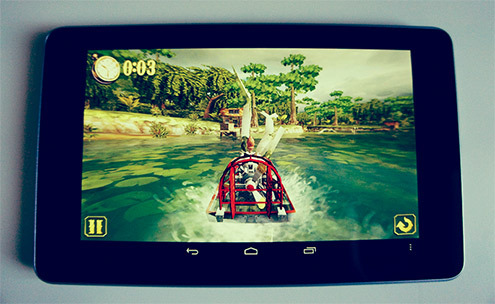 I’ve been wondering how good the tablet’d prove when it comes to media purposes – especially gaming. One thing that irks me is the lack of extendable storage when it comes to HD movies, but 8GB/16GB isn’t too bad. Still going to see what the iPad Mini has to show for itself soon, but the Google Nexus 7 is still a big possibility for me, especially seeing its revolutionary price. For games the iPad Mini may be a better choice, but it’s likely to be around £100 more expensive, and for general usage the seamless multitasking brings Android well above iOS for me. This shows how the consumer PC buenisss is not more a part of DELL’s profit:Mr. Dell: Two-thirds of Dell’s profit is not the PC. Of the one-third that is the PC, the vast majority of that is not consumer. I’m just level-setting what Dell is today, because I think a lot of people look at Dell and they go, Oh, Dell is a consumer PC company. That’s not really at all what Dell is today. Certainly we want to grow our consumer buenisss and we want to grow it profitably.Last quarter we had a modest profit in consumer. It looks like we’ll be well-positioned to have a similar kind of modest profit this year. We’re investing a lot in our products. But is the fundamental epicenter of the company going to change from enterprise solutions, services, data centers, storage, virtualization, security? No. But we want to participate in many markets. Consumer is one of them. Nexus One sold 20,000 handsets in its first week. Droid sold 250,000 units in its opineng week. The iPhone 3GS sold 1.6 million units in week one. It’s true that Google is looking long term and hence they won’t loose a lot of sleep on opineng week sales, but this does underscore the fact that despite all the hype (Google splashed the Nexus One ads on it’s home page, which is accessed by a gazillion people), Nexus One is off to a bumpy start.